Are Purplebricks set to repay millions? 17/08/2018 – UPDATE: A well-placed Purplebricks* insider has claimed that after a year of announcing to the stock market that they were partnering with respected review site Feefo the company has received less than 500 verified reviews from customers who have sold (completed). It is also claimed that the average customer rating is lower than the average Purplebricks Trustpilot claimed score. Given the thousands of listings and the 88%** listing to sold (completion) ratio that Purplebricks CEO claimed, this very low number of completed Feefo reviews and at a lower rating begs a number of rather obvious questions and conclusions. Purplebricks ratings have been the focus of a number of consumer protection investigations by the BBC and others amid many claims that Trustpilot reviews can be manipulated, falsified and, that Purplebricks staff are heavily incentivised and pressured to ask customers for ratings at the begining of the whole process, rather than at the end when scores might be lower. Claims that Trustpilot and Purplebricks deny. If you have paid hundreds or thousands of pounds up front to an agent (or been signed up to a loan agreement to defer payment – especially without your knowledge) and have little or nothing to show for it, this article is for you. If you are an investor in Purplebricks (stock market ticker #PURP ) You may also be a regular visitor to my blog and may also wish to take a close look at the arguments I advance below. Consumers in the UK are protected by a multitude of laws both civil and criminal. Various bodies are charged to police these and do so with varying degrees of success and ability. Sadly, for a variety of reasons, policing and enforcement often doesn’t happen until a consumer affairs programme, writer, show or journalist picks up the story and brings it to light, in doing, shaming the appropriate authority to act. Since launching, thousands of home-owners and landlords have signed up and paid out many millions of pounds to Purplebricks PLC (PB) having made a “transactional decision*” to use their services. I.e. having considered the advertising, press statements, news statements and marketing information provided in the press, online by the company, Directors and CEOs’, as well as hundreds of ‘LPEs’ (allegedly ‘local property experts’). However, a quick glance at PBs’ Twitter feed or Mumsnet on any given day, will show that the hype and claims often don’t match the advertised service. There are any number of potential points where thousands of members of the public could reasonably make a case to have their upfront fees returned having been potentially misled, however, space and time don’t permit so, I will list what is, p[robably, one of the most contentious. As an investor or a consumer, it is reasonable to believe that if the CEO or Director of a company makes a clear statement that they sell (complete on, not just sold subject to contract) 88% of all they list, then that is what they achieve. I.e. consumers paying £1,100 on average, up front, can expect to complete on the sale of their home by a buyer introduced by Purplebricks in 88% of cases. Except that, with PB, this claim, seems, at best, rather ‘fluid’. Michael Bruce, CEO stated it was 88%. Their solicitors stated it was in excess of 90% and Kenneth Bruce, Director said it was in excess of 80%. The current CEO stated to the BBC that they only sold 78% (and even that was subject to contract, not completed sales). Furthermore, independent analysts keep awkwardly placing the listing to sold figure well below that level too. Jefferies, for example, famously describing parting with £1,100 upfront to Purplebricks as “a coin toss” My own data from 2014 – date just the West Cornwall area date also gives the lie to this figure** by a considerable margin. I entered into an agreement with your company on INSERT DATE at a cost of £1,100 plus a further £300 for accompanied viewings which we were told we could defer at no additional cost or penalty. An 88% chance of selling our home. I was not signing up to a loan agreement. All I would normally expect from an estate agent which, I reasonably believed to mean you had high street offices. My ‘local property expert’ would accompany all viewings and not just a paid helper. I have since discovered that none of the above is correct, I therefore feel that the advertising of your service and the contract itself was misrepresented to me. As such, I have no option but to cancel the contract without penalty in accordance with the Consumer Protection Act and request a refund in full by return. I look forward to your response within 14 days so we can resolve this matter amicably. I also require being advised of my LPEs’ office address (as registered with TPO, HMRC/ FCA etc for redress and money laundering etc.) as I may also wish to take this matter up with The Property Ombudsman Scheme, The Competition and Markets Authority and The Financial Conduct Authority. Thank you.  The important question is whether your act or omission is likely to have an impact on the average consumer, not an actual consumer (who may be more or less well-informed, observant or circumspect than the average one). Purplebricks is one of a raft of new-breed estate agency companies making some bold and questionable claims in the property market at present but how many of these claims stand close scrutiny and are they even trading within the law? 03.08.17 UPDATE: Purplebricks has now been subject to an in-depth investigation by BBC Radio4s’ ‘You and Yours‘ consumer program, as well as BBC Watchdog, forcing Michael Bruce, the CEO of Purplebricks, onto the defensive. Further complaints have been aired by consumers on Social Media and more is likely to break on this story over the coming weeks. Over the years there have been many businesses who have seen what they believed to be an opportunity to change the property market in the UK (more specifically England and Wales) but, despite making bold claims to the press and investors, have failed spectacularly. Remember The Prudential? In the late eighties, it was the insurance companies wanting to sell endowment policies on the back of mortgages with cross-selling opportunities (remember endowment policies?). More latterly, a new raft of entrants have leapt onto the scene throwing the current corporate buzzwords of ‘disruption’ and ‘proptech’. These companies are the online* agents, promising allegedly huge savings for consumers with the same or even better service than the traditional full-service estate agents and big profits for investors. In this post, I focus mainly on Purplebricks as the largest of these firms, however I also refer to other firms and the model in general too. In 2014, Purplebricks promised investors it would have made £25 Million profit by the end of 2016 (though these figures were subsequently challenged by PB . However, Hardman & Co predicted more modest profits of £8 Million EBITDA by this financial year-end). Fast forward to December 2016 and PB issued a statement claiming that they had made just £300,000 profit using the EBIDTA method of calculation for the half-year results, some way short of the previous figure. Their full year-end figures are due out on the 29th of June for their financial year-end April the 30th but many industry experts believe PB will have to work hard to have grown their income in a property market where instruction volumes have fallen so significantly and the market share of the online sector as a whole has shrunk from a claimed (but unverified) 6% in mid 2016 to a verified 4% in March 2017. Readers may also wish to see the sector claims in light of other predictions from EasyProperty and eMoov of market dominance by 2017-18 with 20% or higher market share by sector. Are Purplebricks and the call-centre agents heading for a tougher time in the press and with the authorities? Those who have read my blog or Twitter feed will know I have called out a number of call-centre agents over their claims on many occasions resulting in a number of rulings made against them by the ASA. Whilst it is bad enough that this sector appears to have more than its fair share of complaints upheld about misleading the public and, by extension, investors, there are other, potentially more serious issues that may yet play out. Certainly, pre-IPO, PB had publicly claimed that all of their LPEs’ were “qualified estate agents”. It would be reasonable that the public or investors may make a transactional decision on the assumption that such a statement would mean that the LPEs’ all held formal industry specific qualifications such as these NVQs‘. However CEO Mr Bruce, himself a qualified solicitor, knew full well that this was not the case at all (extracts of the correspondence between the author and Mr Bruce at the time have been lodged with Purplebricks solicitors, Schillings). Then there is the matter of whether Purplebricks and their LPEs’ have been trading legally. Purplebricks maintains that all of their LPEs’ are self-employed franchisees (PBs’ service agreement refers to utilising the British Franchise associations code of conduct in the determination of any disputes. See also HMRC update below) . However prior to June 2016, none of these LPEs’ were individually registered with a property redress scheme, the Information Commissioner’s Office or HMRC for money laundering; all of which are legal requirements under the 1979 Estate agents Act. The author is currently awaiting a formal response on the LPEs’ legal employment status but believes that whether they are classed as formally employed or self-employed, it will leave Purplebricks looking at a possible investigation into their legal status surrounding trading, redress, money laundering, the sale of loans, VAT and associated employment and tax issues. The claimed savings the public can make are also worthy of closer scrutiny, with PB seemingly very clear to muddy the waters and avoid using their own conveyancing partners firms data in its comparisons whose published estate agency commission figures** are considerably lower than the figures used by PB to estimate the alleged savings made by consumers. Not only is the savings comparison flawed in its methodology (it is not a like for like comparison) PB claims savings on sold properties but steadfastly refuses to make figures available for how many consumers pay to sell but fail to do so – estimated to be circa £24 Million PA. Consumer and property journalists are now taking this seriously with many asking PB to shed light on their figures. #PortalJuggling In a recent report on this activity, a number of well-known high street names including Purplebricks were mentioned as having very large numbers of property listings that were apparently anomalous. The author wishes to make it clear that he is not claiming or implying that any of those firms mentioned were deliberately undertaking such an activity merely that there were a large number of anomalous properties highlighted which bear closer inspection. More disturbing is the use of heavyweight lawyers to silence critics or negative reviews. Purplebricks claims over 5,000 positive reviews yet a very high number of these are from unverified customers. Negative reports from un-verified customers however, are often removed within the hour. Purplebricks recently removed their entire Facebook review page which certainly did NOT reflect five-star rating on Trustpilot and other review sites posters are not so complimentary about the PLC. The author has been contacted by a number of customers who allege they were threatened with legal action for making negative posts on Social Media and on review sites and has screenshot evidence of these claims. There are also screenshots of reviews (since removed) by un-verified customers that allege they were not informed that by deferring payment of the Purplebricks fee, they would be signed up to a loan agreement with Close Brothers. Furthermore, the author himself received a strongly worded email from heavyweight law firm Schillings threatening legal action for raising inconvenient facts and asking reasonable questions. All of the points raised by Schillings were rebutted with no further correspondence being received. LPE numbers. LPEs’ were and continued to be recruited in large numbers however, what is not clear is how many of these are replacements for other LPEs’ who haven’t made the cut. Whilst the author does not have empirical evidence, there is strong circumstantial evidence echoed by other analysts that the turnover of LPEs’ is very high, suggesting that the promised rewards have not been forthcoming. Certainly, a cursory look at companies house suggests that there are not many who could be regarded as ‘long-term’ franchisees. With Purplebricks year-end due within the next couple of weeks, there are many more questions unanswered than settled. Why, having made a categorical statement on BBCs’ money box that Purplebricks completes on 88% of all instructions, has Mr Bruce failed to provide any evidence for these figures? A simple question Purplebricks. For every 100 customers who listed with you in the last financial year (your fee earning event) how many went on to sell (legally complete, not just sold stc) having had the buyer found via Purplebricks? (There are a great many properties listed as under offer and sold by Purplebricks which are also listed as sold by other agents with a later listing date, suggesting that a significant number of sellers pay up front for Purplebricks, who fail to sell and then switch to high street agents who go on to successfully sell the property (legally complete). This means 68 customers paid at least £57,732 at a minimum of £849 per listing (excluding any additional services such as viewings/ deferred payment charges etc.) but did not sell. What was their average ‘saving’? Purplebricks do not seem to factor these customers losses into their heavily advertised ‘savings’. With Purplebricks aiming for 3,000 property listings per month nationally, this means (if these figures were repeated across the UK evenly) that 75% of these customers would pay in the hope of selling but fail to actually sell within a 12 month period. That equates to those customers paying a whopping £24,165,000 without selling. The difference in price between the original quoted average asking price on listing (£295,514) and the average final price quoted when the property was marked as exchanged (£228,145) is a whopping £ 67,368* – 23% below the listing figure. And the news doesn’t appear to be much better for those that did go on to exchange. Of the 25% who did exchange contracts, the difference between the average prices from all of the original listings and of all of the exchanged properties is £67,368* per property. A total difference in price of £1,549,464. Repeated nationally (using the same average figures as in West Cornwall) this could equate to a £606,312,000 difference between asking and selling figures for the 25% of customers who were successful in selling. *A misnomer as all agents are online. A more accurate description of these firms is ‘call-centre’ estate agents as they work from a centralised or regionalised office with no public access. 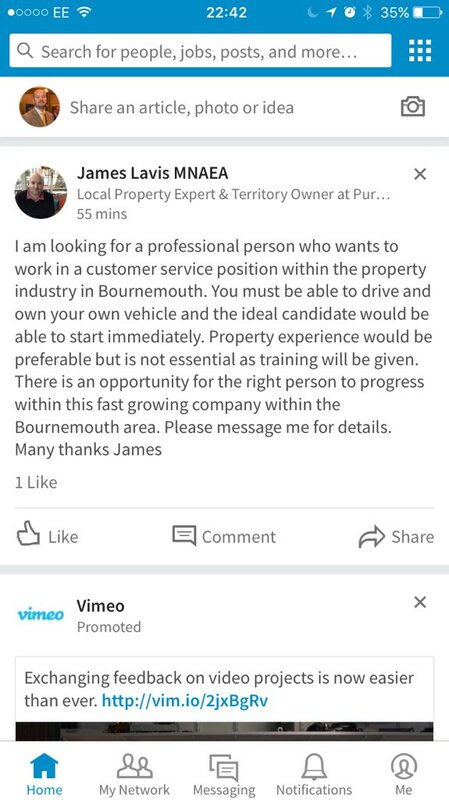 Not the only example I’ve recently been sent/ seen but, this persons linkedin profile also suggests they went from zero estate agency experience to being a “local property expert” within a few hours. Using publicly available data from Zoopla and Rightmove for the period Apr 21, 2016 – Apr 20, 2017 inclusive (the last 12 months) in the following postcode areas*** there were a total of 3,947 new instructions, of which, Purplebricks listed 91 (a 2.3% market share). UPDATE 24.4.17 For transparency and fairness, I have been asked to include the figures for all other agents success/ failure ratio during the same period. Between the same dates and exactly the same criteria, the complete dataset (including Purplebricks) exchanged on a total of 2,441 properties, a 62% instruction to sales ratio. Please note, the 38% of those customers who did not sell would, in the vast majority of cases, have not paid a penny to an estate agent. So, using this data set, paying to list your home with Purplebricks suggests you have a 25% chance of selling. Whereas if you opt for the no-sale,no-fee model you have an average 62% chance of selling. As has been pointed out elsewhere, when those who fail to sells’ costs are factored in to the lucky 25% who do, the cost to the average consumer who lists their home is almost identical between full-service agents and Purplebricks. UPDATE: 28/04/2017 – I have now received a response from HMRC Money Laundering Team. At present, I can say no more until I have received further responses from other organisations. UPDATE 15/05/2017 – HMRC have now confirmed that all agents operating as a franchise who are sole traders or limited companies in their own rights ARE classed as separate businesses under HMRC classification and, as such, must be registered for Money Laundering with HMRC. I believe that this classification confirms previous assertions that such firms/ sole traders (‘LPEs”) who were not registered were doing so in contravention of a legal requirement. I also believe that this clarification strongly suggests that all of these businesses were required to have had individual membership of an approved redress scheme such as The Property Ombudsman Scheme (TPOS). I have been informed by TPOS that many of these firms are now registered however, that they were not until recently. Again, this adds weight to the argument that these firms and their parent firm had been trading in contravention of the law. At the recent #PROPTECH conference in London, property data company GetAgent.co.uk claimed that it had researched Purplebricks figures and found that over 40% of all Purplebricks customers failed to sell with that company despite having paid over £1,000 up-front, on average, in that expectation (Source: estateagenttoday.co.uk – https://www.estateagenttoday.co.uk/breaking-news/2017/5/purplebricks-blasted-by-rivals-at-industry-technology-conference ) The author estimates that this figures represents over £12 Million is lost by consumers who paid in the expectation selling their homes but did not. Data protection – Purplebricks franchisees (LPEs’) are predominantly individual companies registered at Companies House or sole traders. It follows (but I have no evidence to substantiate this assertion) that they take, hold, process and share information with sub-franchisees, other companies, the franchisor (Purplebricks PLC) and, separately, Close Brothers PLC and, MyHomeMoveConveyancing/ Premier Property Lawyers etc. Of the fifteen LPEs’ and head territory owners (has sub-franchisees under them) I checked today (and have done so previously), not one is registered with the Information Commissioners Office (ICO). The ICO process to see if you need to register is quite clear and simple https://ico.org.uk/for-organisations/register/ as is their warning: “Failure to register is a criminal offence”. Below are two screenshots of the process I followed prior to posting this update. *The difference in asking prices and selling prices may not be a true reflection of the price difference between asking and selling prices of the few properties that sold and could be explained by more highly priced homes simply not selling. **Purplebricks conveyancing partner is the largest property conveyancer by volume in the UK. Accordingly, it has arguably the most accurate database of fees paid by agents in the UK. In 2015 Stephen Hayter Sales Director of My Home Move, published two articles which appear at odds with Purplebricks recently claimed average agents rates. The average percentage rates in 2015 were reported to be under downward pressure at that point and there is every reason to suppose that the average fee charged for a successful sale by a full-service agent in the England and Wales is now closer to 1% than the 1.8% or more claimed in many adverts. A former President Elect of the NAEA and board member of NFoPP until he resigned in 2009, Chris has always championed the highest professional standards for estate agents in the UK. 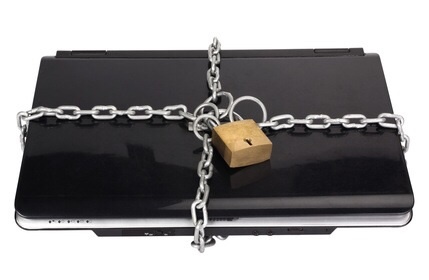 Data Protection – Are estate agents breaking the law? Data Protection – Are estate agents breaking the law? – The short answer? In my opinion, almost certainly! through another agent within 6 months of the date your instruction ended. Nowhere in the TPO rules does it state that an agent must ask for or pass on any names and addresses of people who have or may have been introduced to the property. More than that, unless the agents involved take steps to anonymise the information (thus rendering it largely useless as a means of identifying potential purchasers introduced by an agent) or, request and obtain the explicit permission of everyone on that list to pass their private information to another business they are, or may well be, breaking the Data Protection Act. “The Data Protection Act 1998 (DPA) is concerned with ‘personal data’. In simple terms; if you register with agent ‘A’, they are prohibited from sharing your data with anyone else unless you have given permission for this to happen. However, before you beat an indignant path to the ICO (Information Commissioners Office) to complain about an agent, it is possible that this permission could have been granted by you by passively agreeing to an agents data protection terms and conditions when you first registered or, actively (by being asked directly for permission by the agent). IS THERE ANY POINT IN REQUESTING/ HAVING THIS INFORMATION? In my view, no. The term ‘introduced’ as described by the TPO, can mean different things to different people and, will depend, hugely, on the terms of each agents contract and, can be very wide-ranging in any case. For example; how many people will have first become aware of a property via Rightmove, social media or an agents own website whilst browsing the internet at home or at work and printed off the agents details? No record of that person will be held by the agent and yet; most agents would (rightfully) claim that person was ‘introduced’ to that property by their advertising. If you are an agent reading this, you should make your own legal checks but, the verbal advice I received from the ICO at the time of writing was that just a surname and the first half of a postcode (e.g. Mr Wood TR18) might be regarded as adequate for the purposes of the Act but, in the case of unusual or less common surnames, this would still leave the personal data being able to be identified and thus, a breach. So, as I said above, if you can’t identify a potential buyer from a list due to the data being anonymised, there doesn’t seem much point having or passing that information on in the first place. The link to the ICO is included above. 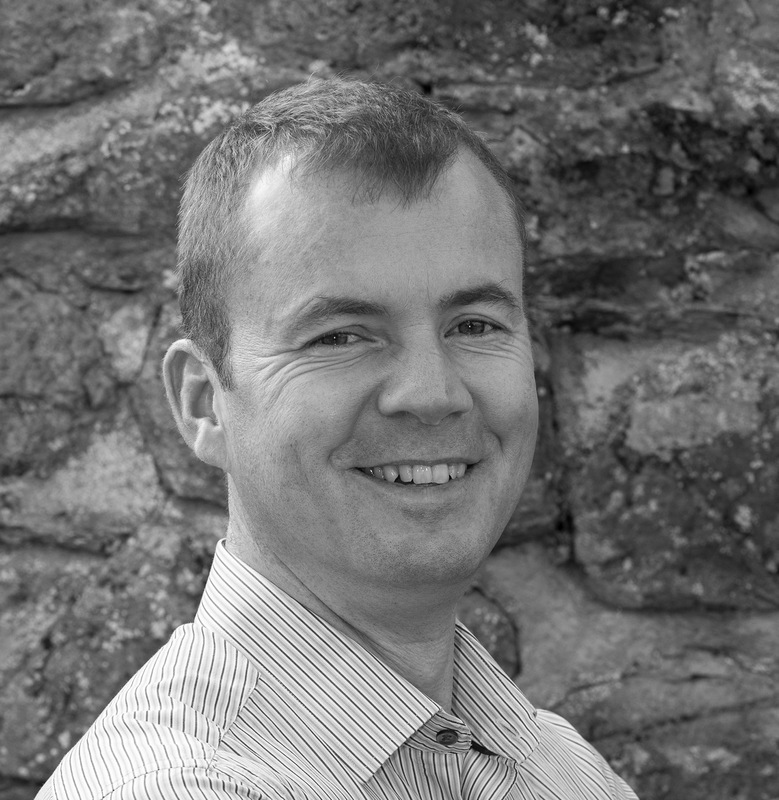 About Chris Wood: Chris is an estate agent with over 25 years of property experience. His business, PDQ Estates Ltd is based in Penzance and Helston, West Cornwall. He has worked with all sizes and types of businesses from single office independents to the management team and board of RBS and Tesco. A former President Elect of the NAEA and board member of NFoPP until he resigned in 2009, Chris has always championed the highest professional standards for estate agents in the UK. No stranger to the media, he has appeared on various programs including BBC, News 24, ITV, independent and BBC radio and is a regular contributor to trade journals, local and national Newspapers. Chris is on Klout LinkedIn Ecademy Facebook and Twitter Chris is a former member of the Territorial Army. In 2010 he mobilised for a tour of duty in Afghanistan with 1 Rifles as part of 3 Commando Brigade. This weeks figures show that whilst the usual seasonal slowdown in property searches has begun, our social media presence continues to grow, giving greater coverage and interaction with our customers properties than on Rightmove or Zoopla. Also this week, we have run a small experiment to test how effective Social Media can be for marketing a property. The screen grab below, shows the 7 and 14 days search result figures from Rightmove for just one of our properties as the top half of the image. We also posted the same property on Facebook as a featured ‘property of the day’. The results of which are shown in the lower half of the image, (though only showing the first four days of the posts life). What is clear, is that although the Facebook post only had data from just four days, over the course of that short time, our customer benefited from a further 2,200 additional post views on Facebook as well as the 1,400 searches on Rightmove. Facebook post view numbers spanked Rightmove’s search numbers, almost equaling 14 days of search results on Rightmove in just four days! It now seems clear that a well-developed an engaged Social Media presence is crucial to ensure a property is reaching the widest possible audience. About Chris Wood: Chris is an estate agent with over 25 years of property experience. His business, PDQ Estates Ltd is based in Penzance and Helston, West Cornwall. He has worked with all sizes and types of businesses from single office independents to the management team and board of RBS and Tesco. A former President Elect of the NAEA and board member of NFoPP until he resigned in 2009, Chris has always championed the highest professional standards for estate agents in the UK. No stranger to the media, he has appeared on various programs including BBC, News 24, ITV, independent and BBC radio and is a regular contributor to trade journals, local and national Newspapers. Chris is on KloutLinkedIn Ecademy Facebook and Twitter Married to Amanda, they live in Penzance with their adult children and three spaniels. In his spare time; Chris likes to keep fit and is a long-standing member of the Territorial Army. In 2010 he mobilised for a tour of duty in Afghanistan with 1 Rifles as part of 3 Commando Brigade.